We don't often put out straight news stories but this one features an important request. The Department of Health has issued an Invitation to Tender (ITT) to improve identification of young carers. This is a key piece of work designed to support the delivery of our Carers work programme this year. The aim of the project is to increase the timely identification of young carers (aged under 18) in order that they can receive appropriate support from services and the community around them. 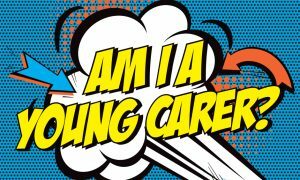 Identifying young carers is an essential step in making sure that they and their families receive the support they need. In particular, this means protecting them from excessive or inappropriate care demands. This project - and its outcomes - will support joint working between the statutory and voluntary sectors - and wider communities - as part of the work to develop carer-friendly communities. In this way, we hope to achieve better identification and support for young carers. View the full ITT document here. Please note that the deadline for tender submissions is 3pm Friday, 4 August 2017.